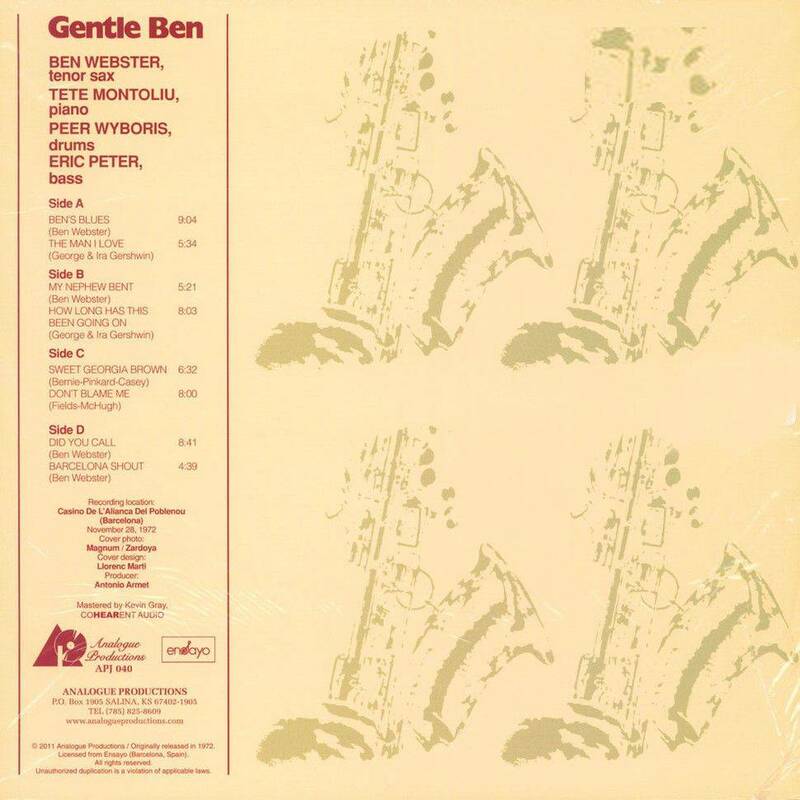 2011 US Vinyl LP edition, pressing on 180 gram HQ vinyl - Gentle Ben was recorded just 10 months before Ben Websters death. Webster and Montoliu understood each other deeply and their comfort with on another is extremely palpable on this recording. Their accompaniment of one another is seamlesssealed in Rice paper sleeve with Heavy cardboard jacket. At Quality Record Pressing. That rich, humid, giant sax tone blooms like on few other Webster recordings. 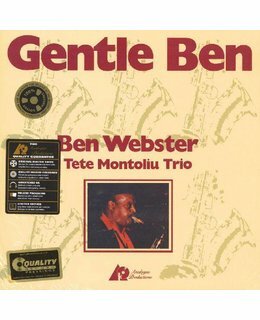 This recording was made 10 months before Ben Webster's death in 1972. 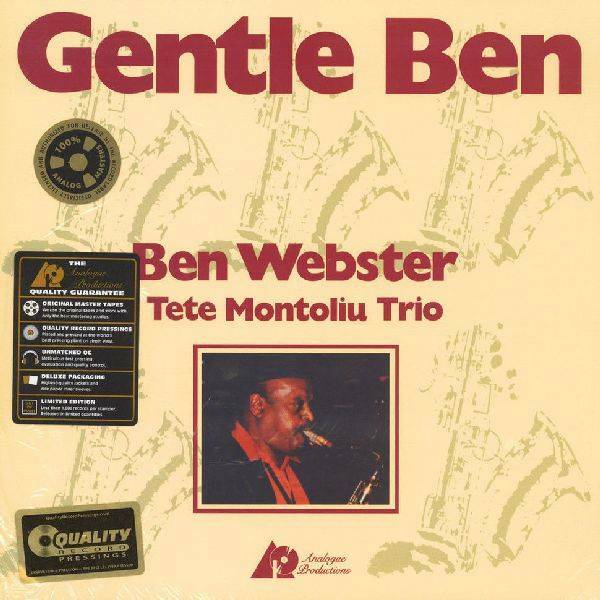 Webster, who had left the United States in 1965 to settle in Europe — first in Copenhagen and then in Amsterdam — was visiting fellow musician and friend Tete Montoliu in Barcelona. Webster and pianist Montoliu went back a ways, having played together regularly in Webster's Copenhagen days. In fact, Montoliu cited Webster and Don Byas as his two chief musical influences. Webster and Montoliu understood each other deeply, and their comfort with on another is palpable in this recording. Their accompaniment of one another is seamless. On board with these two is Montoliu's regular working trio-mates, Eric Peter on bass and Peer Wyboris on drums. There's no shortage of Webster's trademark breathy, fat tenor tone here. In fact, given the sparse arrangement, that rich, humid, giant sax blooms like on few other recordings. Highlights include "Ben's Blues," "Sweet Georgia Brown," "The Man I Love" and "Don't Blame Me."